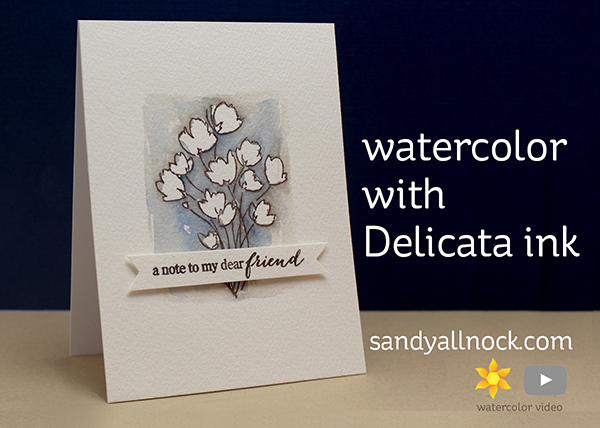 Delicata ink pads are certainly beautiful to stamp with – they have lots of shimmer and shine to them. I’ve used the Gold for quite some time – but Imagine Crafts sent me some other colors to try – so I did! 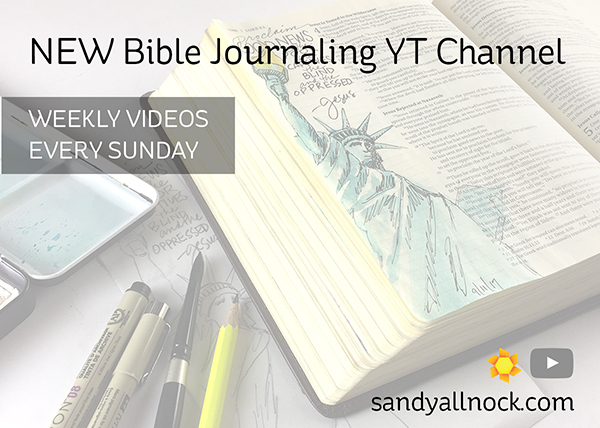 In the video, the first few minutes show the card…so for those not interested in Bible journaling, just watch that first bit to see the pretty floral card. Bible journalists – you might want to pick up some of these inks because they don’t go through the paper! There’s even a black shimmer that has some good contrast to it – so it might be something you’d want to try if you stamp much in your Bible. Watch the video below or click HERE to see it in HD on YouTube. those on whom his favor rests. 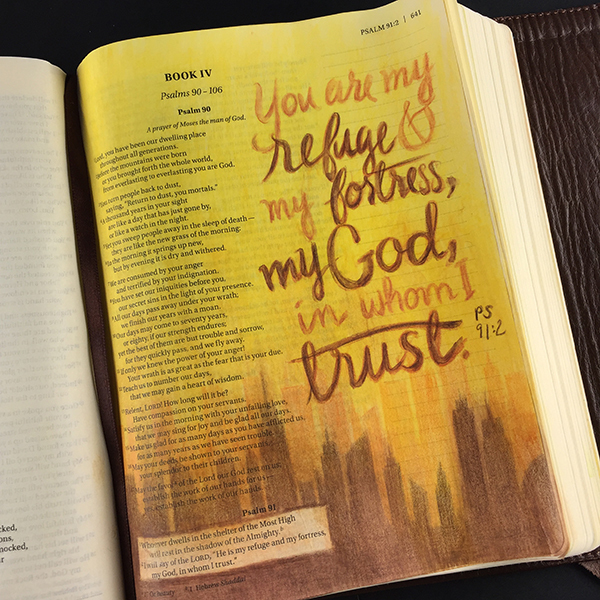 Today I have a simple treat for you…a page in my Interleaved Bible. I pray you all have a beautiful celebration with your friends and family! While it just didn’t seem right to do a voiceover (and a 3 hour video!) for Christmas, below are a few notes regarding the creation of this page. Or…just watch this very short video, and get back to your family celebrations! See it in HD on YouTube HERE. There’s no voiceover, but I’ve included some notes about what I did as I wrote up the supply list. No page prep was used here – nor do I ever prep pages. Watercolor pencil doesn’t go through the paper. 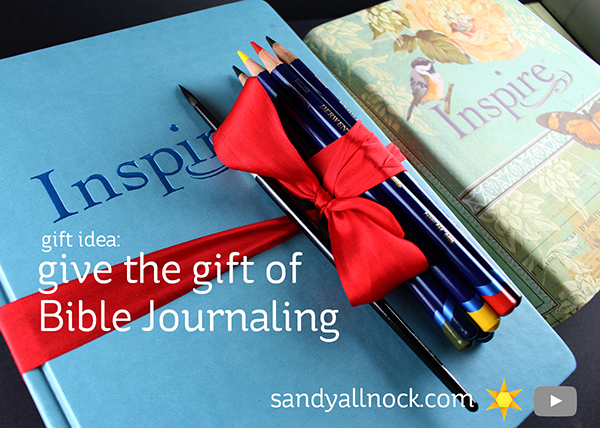 This is an Interleaved Journaling Bible – it has a blank page in between every other page on the same Bible paper. It means this Bible is double the thickness of other Bibles since it has twice the paper. I used Museum Aquarelle pencils for this page, and sorry – I didn’t write down the colors. I spread the color only with baby wipes. I had two handy, one wetter and another drier, depending on whether I wanted a watery or chalky look. This keeps moisture to a dull roar on the thin paper. I ironed the page in between different stages, both to dry it and flatten it. Layers of color build up to intensify on the page; this works with many brands of watercolor pencils. The white paint is just acrylic, and the brush is a #6 round. I used a white pencil to sketch in the lettering before starting to paint. 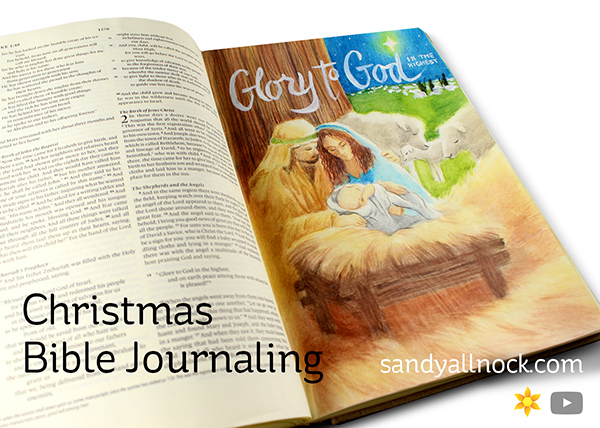 If you want more info on Bible Journaling, there’s an inexpensive class HERE. 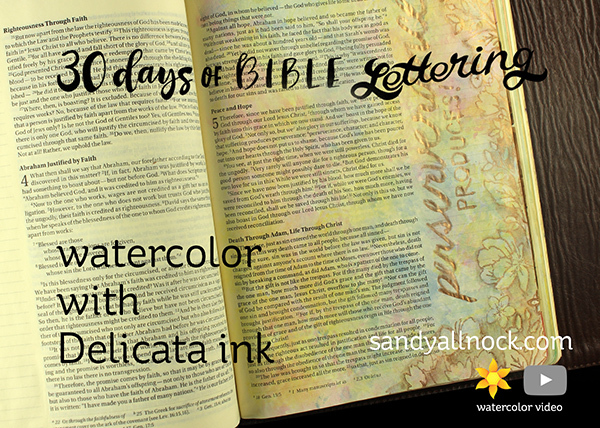 In July, I participated in the #30daysofbiblelettering challenge on Instagram – and used it as a way to play with ideas that might make it into my Bible! In today’s video, I flip through the sketchbook I used – you can use anything for a project like this, but I used a Mix Media pad since I thought I’d likely be playing with a number of mediums. I chose not to use Copics for a simple reason – I’m about out of a few colors and out of their reinkers! And as I’ve had a heavy load of classes all summer, I’m reserving my markers for small images rather than doing large pages like those in this sketchbook. Watch the video below or click HERE to see it in HD on YouTube. 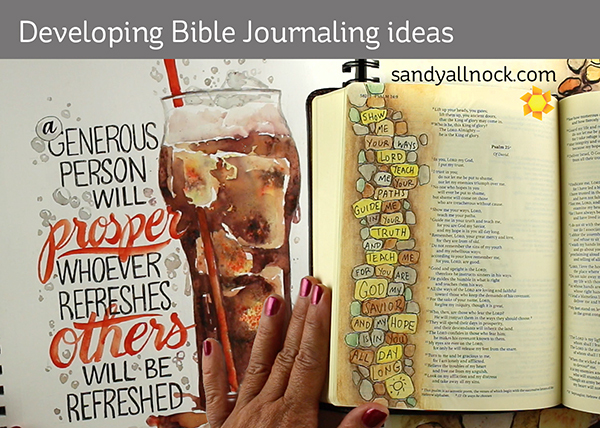 If you’re interested in getting started in Bible journaling but don’t know where to begin or what mediums to try, I’ve assembled an inexpensive online class with 10 lessons HERE.